We’ve all heard the facts and statistics that accompany the effects of stress on the human body—from hair loss to weight gain to much more serious and life-threatening issues—we can agree that the more we can do to help relieve the stresses of life, the better. That being said, our homes are our safe havens, the place we go to breathe easy and unwind. There are many things that we can do with our homes that are not only beautiful and aesthetically pleasing, but also have certain health benefits, such as relieving stress and improving our mood. It’s not news that having greenery indoors is beneficial. 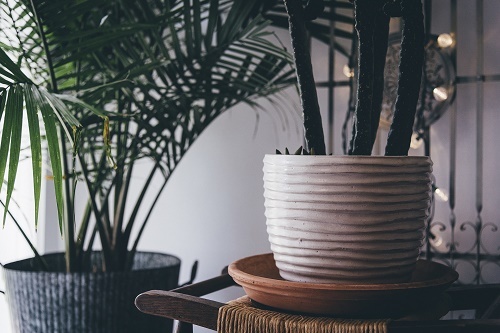 The science behind plants and the process of photosynthesis that helps improve the quality and cleanliness of the air indoors is a widely known fact. Not only that, but the presence of greenery in a home or office space is stimulating and enhances energy as well as mood levels. Studies have shown that they increase productivity and can even improve certain behavioral and health issues. Studies have shown that bright floral bouquets in a home come with a slew of physical and emotional benefits ranging from increased happiness, emotional connection with others, compassion, creativity, energy, and improvement in problem solving with a decrease in depression, anxiety, and negativity. Do yourself a favor and boost your mood with a bright bouquet. A Himalayan Salt lamp is a hydroscopic substance, which essentially means that it attracts and absorbs water molecules, and whatever those molecules may contain, from its environment. When the salt is heated, it allows the moisture absorbed to evaporate back into the air leaving the foreign particles (dust, pollen, pet dander, etc.) behind. This kind of air purification can have a number of health benefits such as easing allergy and asthma symptoms. 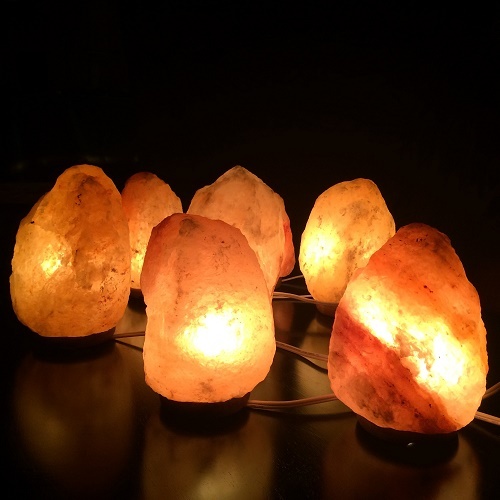 Furthermore, the science of the positive impact of negative ions in the air has been a popular topic of interest and one of these salt lamps is said to increase the amount of negative ions in the air. The smooth and soothing sounds of running water can help to drown out background noises that we may find irritating or annoying, helping to calm and relax our minds. It will also act as an indoor humidifier, adding moisture to an otherwise dry room. And just as a Himalayan Salt Lamp increases the amount of negative ions in the air, so can an indoor water fountain. Negative ions are believed to boost energy, Improve mood, and prevent airborne germs from spreading. Our sense of smell is connected to many different aspects of our bodies. Of those aspects, our memory is a notable one. Our sense of smell is connected directly to our memories and candles can help your ability to remember things as well as make such a memory more vivid. In addition, mood is directly connected to our sense of smell. Different scents can make us feel calm and relaxed or energized and invigorated. 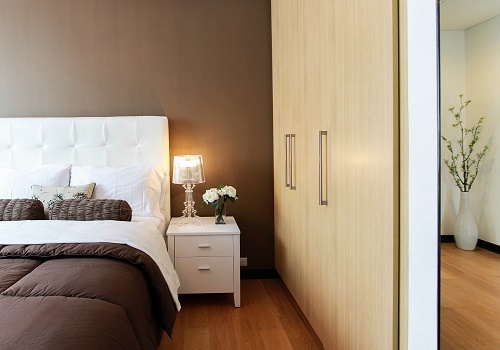 When it comes to decorating your bedroom, keep it simple, there’s no need to go all out. Your bedroom should be your go to place to relax and destress from the day. It all starts with the bed and choosing a mattress that feels right from the start, whether it’s a firm or soft mattress, it’s a worthy investment. Keep your bedroom furniture organized, clean and limit yourself to a few pieces that you’re absolutely in love with to keep it a clutter free zone. Believe it or not, a cluttered space subtly creates an anxious vibe. And there you have it. Try these six home décor tips to help reduce stress in your home. Himalayan salt lamps and scented candles are our favorite. You can never go wrong with ambient lightning a pleasantly scented home. The Tania Matthews Team is a real estate team dedicated to you, who is there for you every step of the way. Whether you’re buying or selling a home, it’s a huge deal. And as such you should have a team in your corner that has your best interest at heart and is willing to go that extra mile. A team that is genuine and authentic. This is what we’re all about – impacting the world around us, one person at a time.